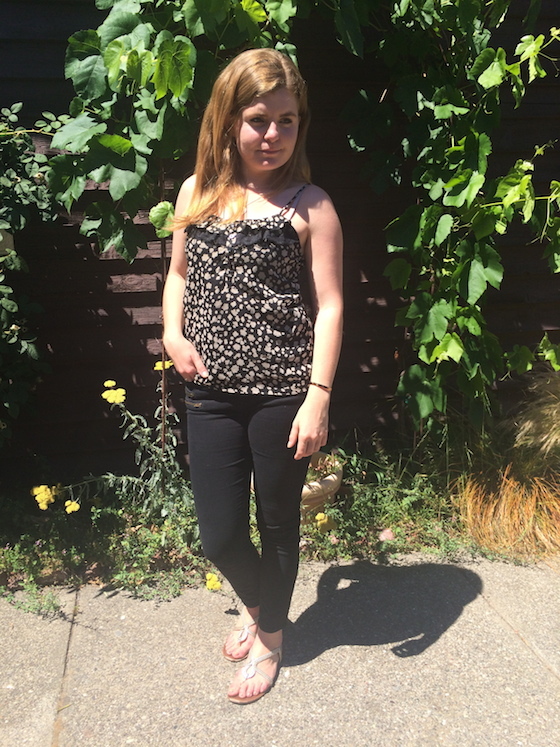 I included this black top in my capsule wardrobe for nights out on the town. I wore it out a lot in college, and think it’s the perfect mix of girly, fun, and sophisticated. One lesson I’ve learned from this capsule wardrobe project is that sometimes it’s ok to have one piece of clothing that serves a specific purpose, and no duplicates. For instance, I used to have a whole host of tank tops and blouses that were my “going out” clothes. Although I intended to wear them to campus parties or the local bar, when the time came to get ready it was always tough to find the perfect thing to wear. I’ve realized that in a case like this, one great piece is often better than a number of items that you don’t quite love. Now, my party tops are limited to this shirt and one black silk tank. Both fit me well and are perfect for a first date or night out with girlfriends. This means that I can get ready much more quickly and I feel way more confident!